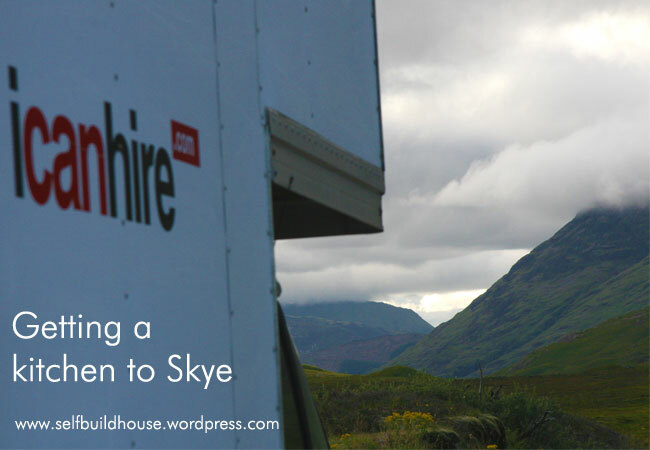 My work last week involved moving an ex-display kitchen from a Shurgard storage unit in London to Skye in an icanhire.com van. This passed without event and a eulogy is owed to the roads in both countries which allowed such a journey (in particular to the lorry drivers (flash) at night who provide assistance allowing safe passage). 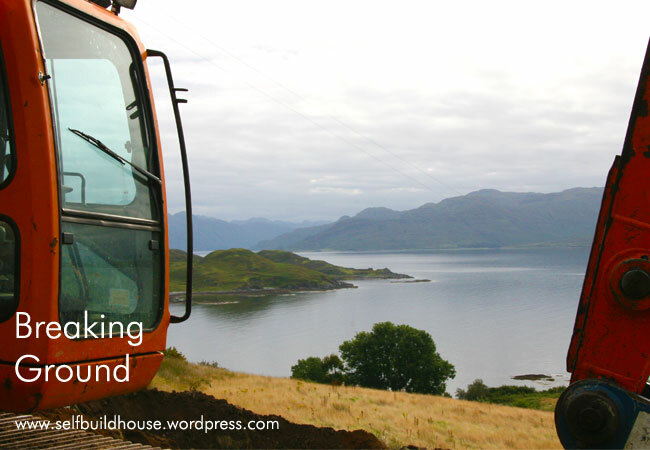 The views along the way were pretty spectacular – the Highlands having the best driving roads in Europe (this journey took me through Loch Lomond, Fort William and Glencoe – utterly stunning. 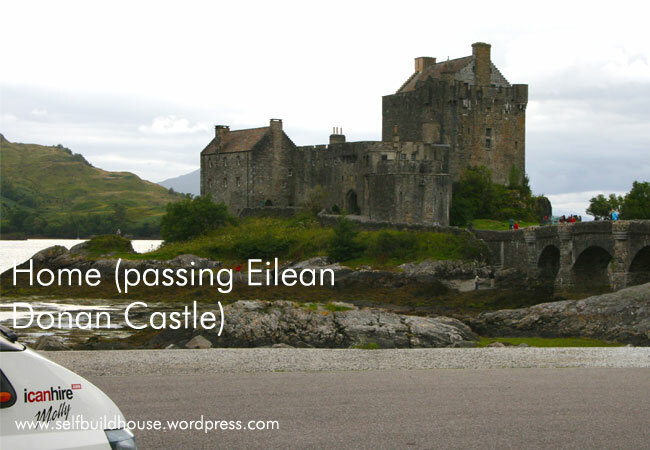 The second purpose to my journey was to visit the site located in Sleat on the Isle of Skye – fortunately it takes less than 20 minutes to get there from the Skye Bridge. The other ways to reach it are via the ferry (Mallaig to Armadale) or during high season the picturesque Glenelg turntable ferry. 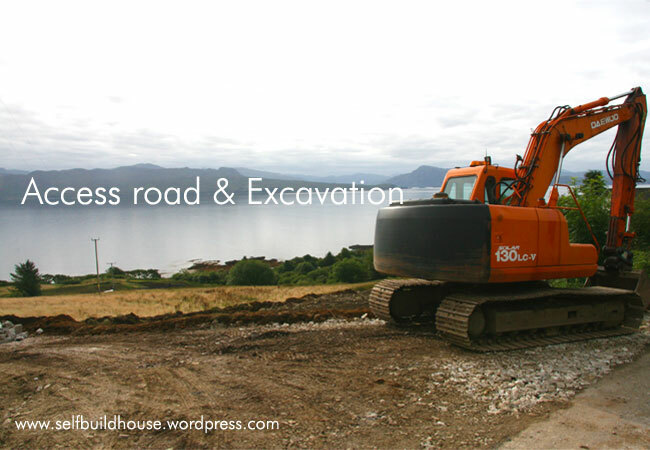 I was told that the small digger had been replaced by a much larger digger and that it was shuffling around ‘fill’ (brought to the site in huge trucks) to create the entrance road to the site. We have decided to preserve the ruin of the old black house to blend the new with old – in the first instance this is likely to become an extension of the garden. 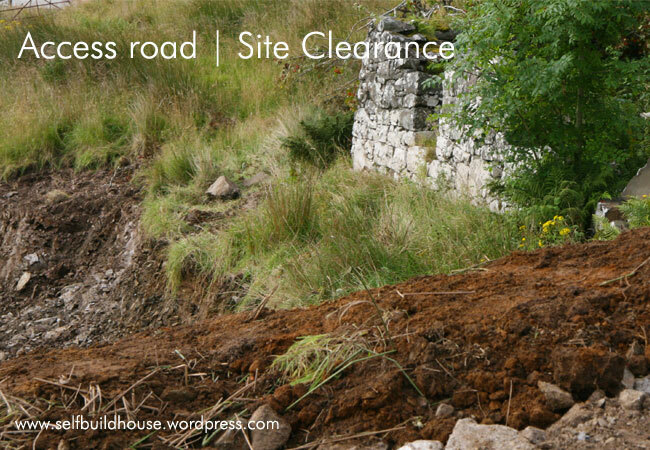 Part of the planning process involved detailed photography of the ruin and sending it to the Highland Historic Environment Team. The extent of the site and the foundations can be seen here – very excited to see such progress in a relatively short space of time – the view is as magnificent as always. Good luck getting any work done with that view! 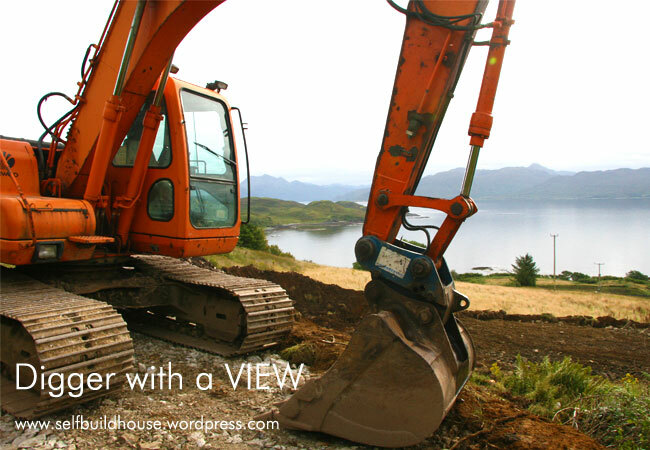 Funnily enough the digger man (Douglas) was nowhere to be seen when I arrived! Re: BBC2 Series – The House That £100K Built. We’re researching for series 2 of ‘The House That £100K Built’, and would love to have a quick chat about your project. Would you be able to drop me a quick email with your contact details?